Messages in honor of Stan Lee are pouring in on social media and other online sites. 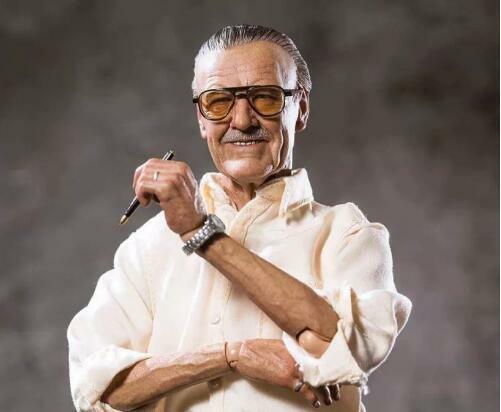 Marvel Entertainment and its parent company, Walt Disney, posted a video about the late writer, editor and publisher on their websites. Disney chairman and chief Bob Iger said Lee is "a super hero in his own right to Marvel fans around the world." He compared Lee to his comic book characters with "the power to inspire, to entertain, and to connect." Lee was born Stanley Martin Leiber in New York City. He began writing for comic books at 19. He wrote under the name Stan Lee. He explained that he used a false name because he wanted to write a serious and great piece of literature someday. He did not want his link with comic books to be known when that happened. But it never did happen. As the pride in his work grew, he decided to legally change his name to Stan Lee. Lee's characters often had super powers, but they also had weaknesses and moral failings. They got up and went to work every morning. They were humans, not gods. They lived in New York City and others parts of real America. They not only struggled to save the world, but also to pay their bills, make friends, and hold jobs. This made Marvel comic book heroes stand apart from its competitor DC, the company that produced the seemingly perfect heroes like Superman and Wonder Woman. In a piece for Marvel in 1969, Lee discussed the importance of creating these balanced characters. "...Nobody is all good, or all bad," he wrote. Like Tony Stark, also known as Iron Man. He is a deeply gifted inventor with serious mental health issues; or, Peter Parker, a sensitive, brainy high-school student who has no idea how to deal with the frightening abilities he gets from the bite of a radioactive spider. Even Steve Rogers, whose Captain America was the most Superman-like of the Marvel group, had problems. Rejected as a candidate for the armed forces, he volunteers to take a "supersoldier" substance to make him a super-fighting machine. Actor Chris Evans has played that character in several Hollywood films. He posted a tribute to Captain America's creator on Twitter Monday. "There will never be another Stan Lee," he wrote. Actor, writer and funny man Seth Rogen never played one of Lee's characters but he remembered him with thanks in a tweet. "Thank you Stan Lee for making people who feel different realize they are special," he wrote. Actor Zoe Saldana played Gamora in the "Guardians of the Galaxy" and "Avengers" film series. "Today we lost one of the greats," she wrote on Twitter Sunday, calling Stan Lee "superhero to us all." Each unit including the parent company has its own, local management. Poor housing and family stress can affect both physical and mental health. This is not the super hero who fabricates, but is one kind of real existence animal-wolf. In the comic book we are shipwrecked. 5.Peter Parker, a sensitive, brainy high-school student who has no idea how to deal with the frightening abilities he gets from the bite of a radioactive spider. We had no idea how to play, but it was a lot of fun. I had no idea how to cure kid problems. 6.Peter Parker, a sensitive, brainy high-school student who has no idea how to deal with the frightening abilities he gets from the bite of a radioactive spider. He's a hard man to deal with. They have not finalized the deal with the government.